Exciting news: Mumbles and I are in escrow on a new home! I know I shouldn’t be getting carried away before everything is signed and the keys are in our hands but I just can’t help it. I’ve been pinning away on a secret Pinterest board to keep track of all the ideas I have swirling in my brain for decor, furniture, renovations and storage. I’m having way too much fun and it’s been quite fulfilling seeing as this is the time in pregnancy when I should be nesting, alas, I have no home to currently nest in. Even though I’m super eager to get all the baby stuff into the new house, what I’m most looking forward to is a larger living room. Our current living room is very small and cozy – you practically spill into it when you walk in the front door and it acts like our entryway, family room for tv watching, eating area, office and library. Since we love to entertain, I keep thinking about seating options. 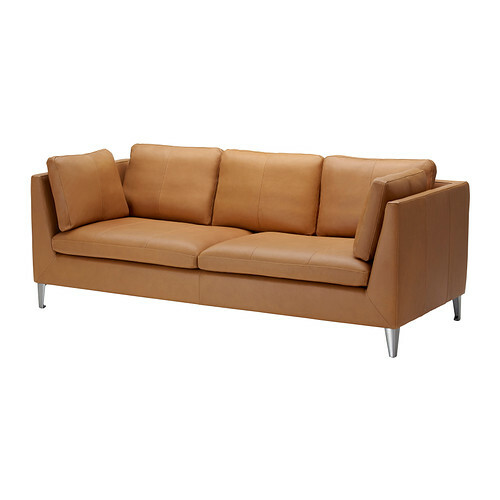 We have a fantastic sofa + chaise sectional that I love and originally I was thinking we could add a corner section to make one giant U shape (it would look a lot like this). But then I realized that the way the living room is laid out, it would mean you’d enter the room and have to walk all the way around a long sofa arm to sit anywhere on the couch. It would close off the room and I don’t like that vibe. Living rooms should be inviting, beckoning you to come on in and make yourself comfy, right? Instead I was thinking we’d keep the couch as is and add a loveseat. Great idea! 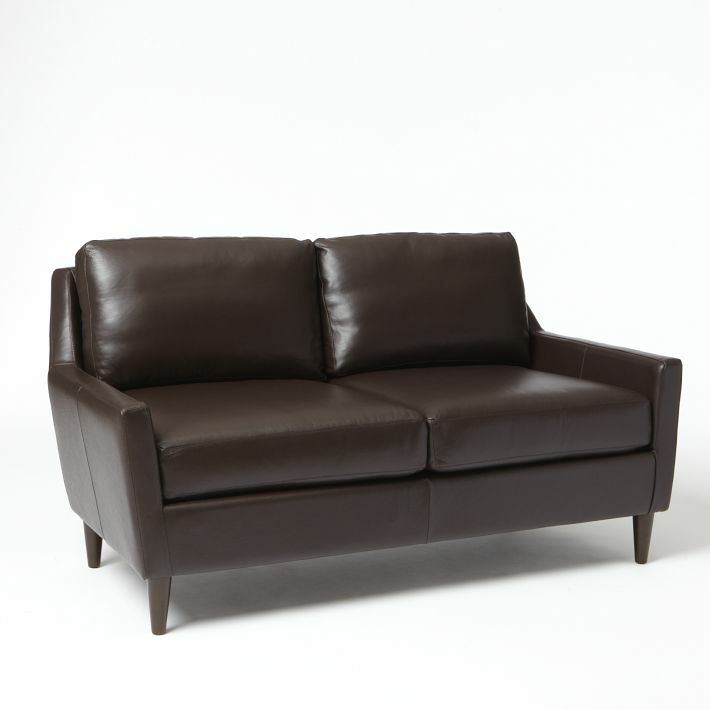 But now I can’t decide if I want it to match our current sofa or get something totally different. Lately, my obsession is leather. I think it’s so rich and masculine, very earthy and would compliment the [yet-to-be-installed] wood floors and the brick fireplace in our new spot. Plus, I love how aged leather looks and it would seemingly be good for kiddos to be able to swipe up spills (minus scratches, I guess…but hey, patina and character, right?) 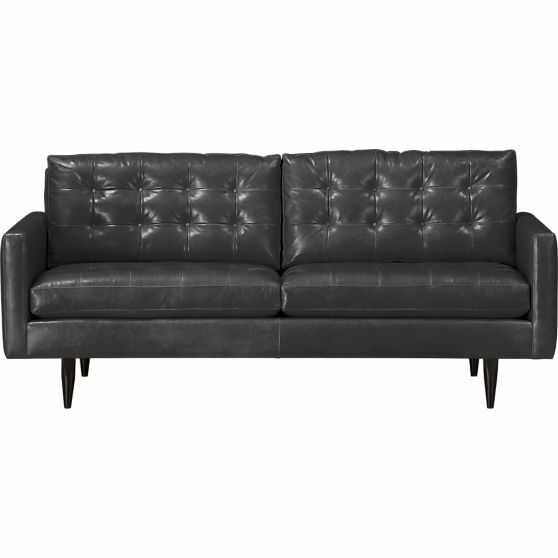 Our current couch is a charcoal gray fabric and we’ve also added the dove gray graham glider from west elm to our seating arrangement so I’ll have a comfy spot to nurse without having to go hide in a room somewhere and miss all the fun (read: tv watching). So, another matching loveseat would be a whole lotta gray in one room. 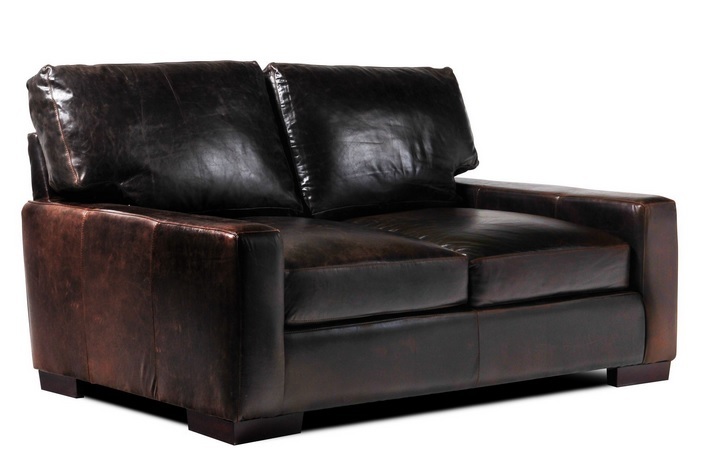 We can certainly liven up the grays with throw pillows, but it seems like a safe choice and leather is still on my brain. 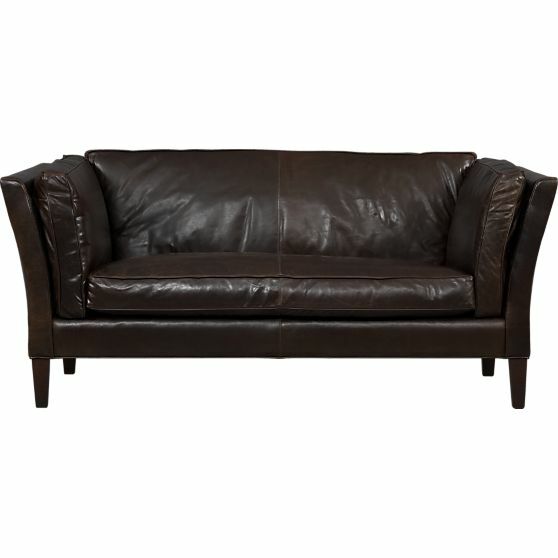 I’ve never had a leather sofa, though, so I’m wondering: have you ever had a leather sofa? What do you think? Love it? Hate it? Any favorites from this roundup or others to recommend? I’ve been keeping an eye out on Craigslist, but because I’m not really ready to pull the trigger quite yet, it’s almost too much of a tease. For more home decor, bedroom, bathroom, flooring, and seating pinspiration, check out my Pinterest boards. Soo exciting! Hope you’re having a stress-free escrow process. Yay for new things and new family members for a new home!